And enjoying a juicy and delicious Georgia peach. And make feel happy thinking about these things I just bought. With all the work and duties that are causing my stressful mood. Which adds more stress making me feel like I’m dangling helplessly from a tree limb. As you can see, stress has become a genuine problem in my very hectic life. And at times has caused me too much ridiculous, unnecessary, silly strife. What is the best solution to learn to relax and to be calm once more? “HELP ME PLEASE! I CAN BECOME SO STRESSED OUT AND TIRED BEYOND BELIEF. One day a few months ago, my stress was becoming overwhelming and almost out of control. To relax, I decided to sit down and write a poem to express how I was feeling at that time. I started laughing aloud at how silly I was feeling and started enjoying my day instead of being so stressed and upset. These were my thoughts that stressful day. This poem led me to research ways to reduce my stress. I hope my poem made you laugh or at least smile. Like me, all of you have work and family responsibilities you cannot ignore or avoid in your lives. Sometimes they become overwhelming and out of your control. These self-imposed obligations can negatively affect your health. How many of you are perpetually sick for seemingly never-ending periods of time, suffer from excruciating headaches that simply won’t go away, and experience constant neck and back aches that often become unbearable? When you wash and style your hair, do you notice an excessive amount of hair loss in your brush or comb? Do you lie awake at night totally exhausted but unable to sleep because your mind is consumed with endless, often troublesome thoughts? Are you often diagnosed with urinary tract infections because you get so busy you forget to take the needed bathroom breaks? 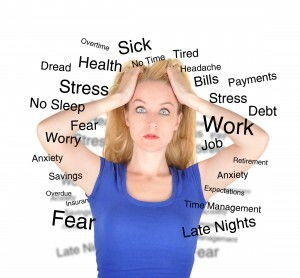 It is likely stress is the cause for all or at least many of these disruptive life situations. 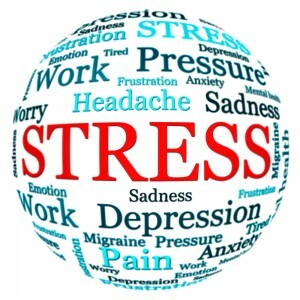 Stress can also significantly affect your mental and emotional abilities to function. Have you ever been so pre-occupied you forgot things—important appointments, the location of your house, office or car keys or even the location of your car in the parking lot? Has your concentration level ever been so low you have read the same page or the same email numerous times and had no idea what you have just read? Does this lack of concentration cause you to bump into objects or spill things or drop things you normally would not do? Do you daydream about white, sandy beaches, snow-covered ski slopes, a cottage in the woods by a tranquil lake, or some fantasy land you create in your mind when you are supposed to be completing some work task? Do you ever go shopping and buy things you do not need just to satisfy that short-lived moment of happiness and then foolishly regret the purchase later? Do your emotions ever cause you to cry for no apparent reason or make you want to scream aloud and throw or destroy things? 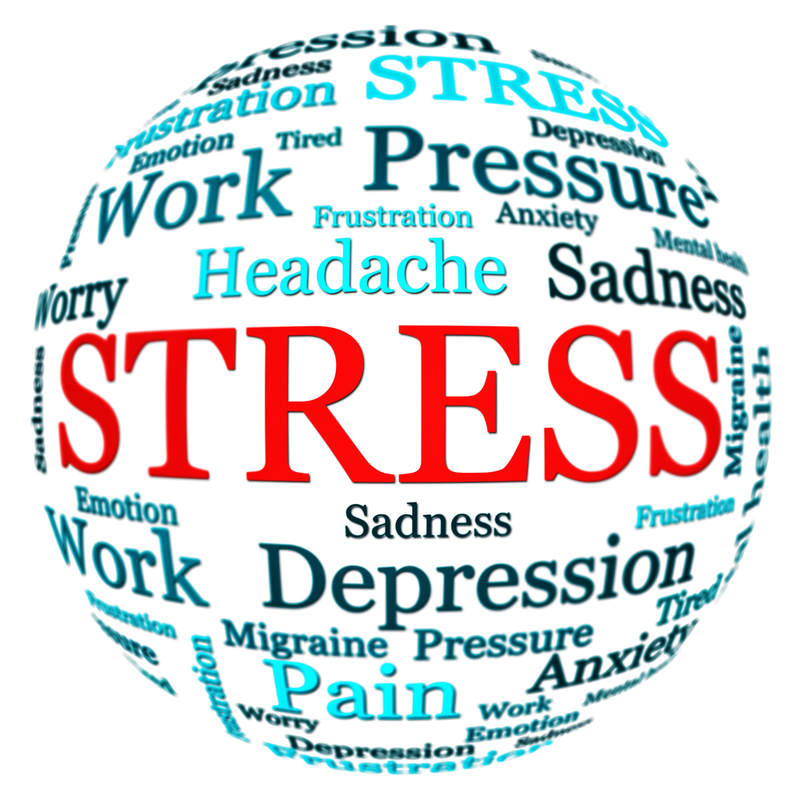 These may seem like somewhat ludicrous and severe reactions to stress, but they do occur. I personally have been guilty of several of these. I think you and I can agree the reduction or elimination of daily stress is a necessity for a happy and healthy quality of life. 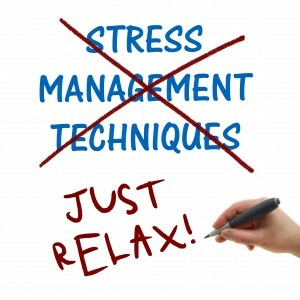 Therefore, what can be done to fight against stress? First, you can change your diet. Foods exist that can help to reduce your stress levels. Research reveals the vitamin C present in orange juice can lower levels of stress hormones like cortisol. In addition, grapefruit juice, strawberries, or sweet red peppers also help to boost your immune system. Drinking more water and green tea and less colas is recommended. Eating small low caloric meals and healthy snacks throughout the day helps to reduce anxiety. Such foods as low-fat beef, low-fat milk, cottage cheese, fruit, almonds, blueberries, tuna, and cornflakes cereal can provide you with vitamin B which is known to help smooth out your mood. Exercise is another effective way to beat stress. It helps your body produce endorphins that make you feel good. Exercising in warm weather can boost your mood while a daily brisk walk of about thirty minutes on a cool day can greatly reduce stress levels. I personally have experienced this and often go to my personal gym to exercise when I am feeling stressed from too much work. On the other hand, relaxation strategies may be a great solution for your stress. Treating yourself to a massage at least once a month decreases the level of cortisol which creates the “fight or flight” response. A massage is more than just a way to pamper yourself. It increases serotonin, the chemical that helps with sleep, anxiety and depression and increases dopamine, which provides the body sensations of pleasure and smooths stress away before it can build up. My husband gifted me with my first professional massage. It was a wonderful experience, and I quickly learned the value of being able to de-stress with a good deep massage. If this is not possible for you though, then invest in some lavender or rosemary scents and take a deep breath. It will instantly put you in a more relaxed state and lower levels of cortisol. If you prefer not to use scents, then practice the act of deep breathing regularly. This will send oxygen surging through your bloodstream and help you to calm down and beat the stress. Finally, an entertaining way to relax is simply to sing—to sing loudly to your heart’s content. Turn up the radio and just start singing. Studies show singing can make you feel happier and feel less stressed and benefit your breathing, heart, and immune system. Cleaning up the clutter in your work life and your personal life and utilizing more time-saver techniques can provide a more relaxing, stress-free environment in which to function. Having too much stuff can make you feel overwhelmed and bogged down. Living in constantly messy surroundings brings on unwanted anxiety. Thus, de-clutter to de-stress. At home, start with a small space or room and gradually move to bigger things. 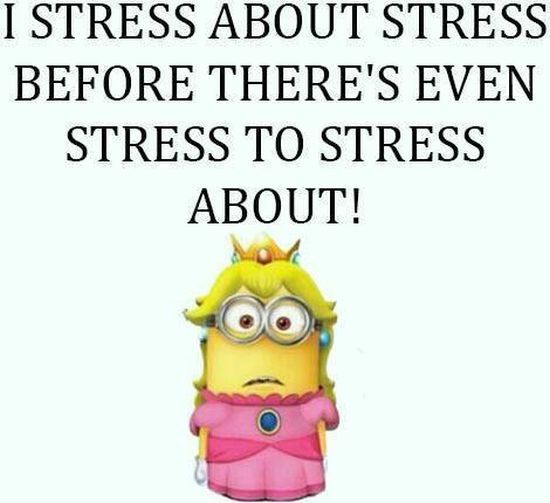 Doing everything all at one time could create more stress. While deciding what to do, turn on some of your favorite music or a TV show you enjoy. Then make your “To Do” list. This will make the task easier and will help you to organize your work better. Schedule times you want to start and complete each task on the list. At the office or workplace, organize your desk or work area before beginning your daily tasks. Choose to write or reply with shorter email messages. If a longer message is needed, consider making a phone call but make it about business only. Make a “To Do” list with the most essential tasks listed at the top. Prioritizing your work tasks will make your day more productive and when completed will give you a needed sense of accomplishment. Reward yourself with snacks and a nutritious lunch. If time and weather permit, enjoy your lunch outside in the sunshine and fresh air. A brief change of setting during the work day will help to recharge your energy. Short breaks are always beneficial. If the workload is still overwhelming, do not be too proud to seek someone to help you. You are a human being—not a machine. Accepting help is never a sign of weakness. Many of you share your lives with animals. Pets are known not only to give you unconditional love; spending time with them is therapeutic for your health. Research has shown petting your dog or cat for just a few minutes releases feel-good hormones like serotonin, prolactin, and oxytocin in your body and decreases the amount of the damaging stress hormones. This results in lowering your blood pressure, lessoning anxiety, and promoting even better immunity. Doing these tasks will enable you to feel more in control of both your work and personal life. 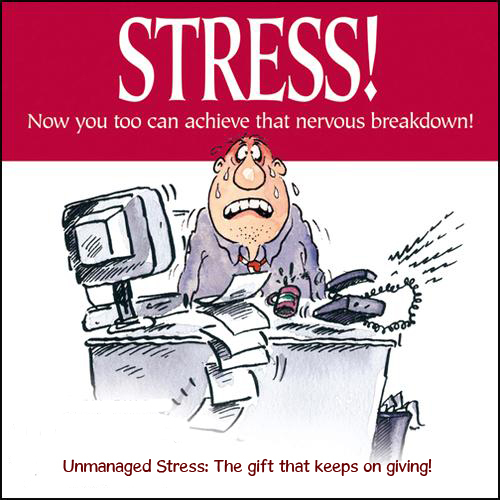 When you feel you are in the driver’s seat, you are less likely to get tripped up by stress. After your life is more organized, you will then have more time to engage in the activities you love—drawing, dancing, singing, gardening, cooking, playing sports, whatever it may be. These activities can be used for self-therapy and chase away tension. 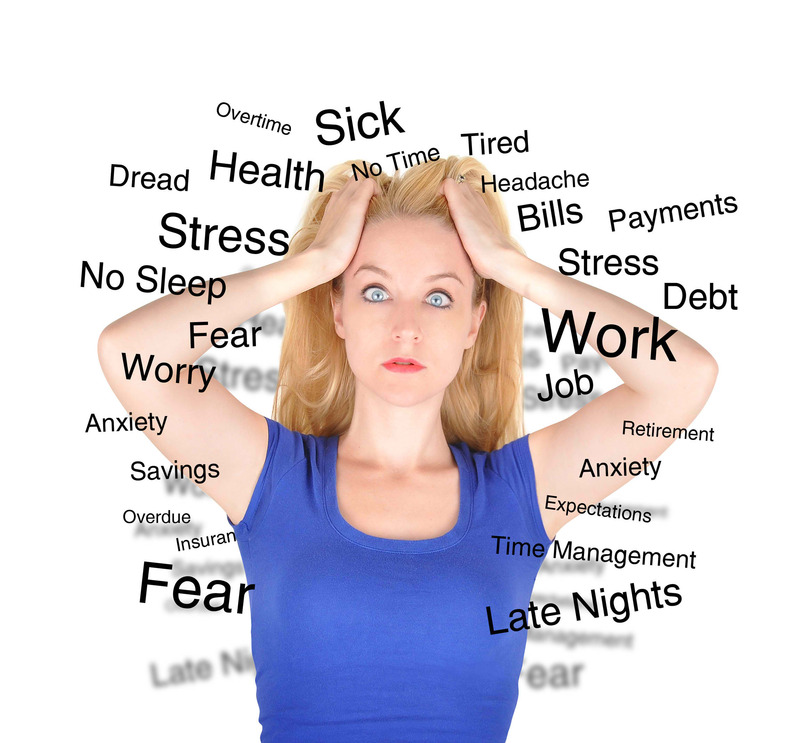 Most importantly, you must rethink and change some of the things you may be doing that are creating stress. Maybe you have issues with using the word “NO” when asked to do something you do not have time to do or do not want to do. You must learn to say “NO” and mean it. You must set boundaries and then let people know them, especially those people who continually push you to see how much they can get from you. To be honest, this has always been one of my problems, but over the past few years I am learning to be firmer when I say “NO” now. Trying to please everyone, especially those who never give anything back to you, drains your energy and vitality. In addition to this, you need to banish those self-inflicted rules that you must be the perfect parent, the perfect spouse, the best employee, the best boss, or the best student. This is another thing of which I have been guilty trying to do. 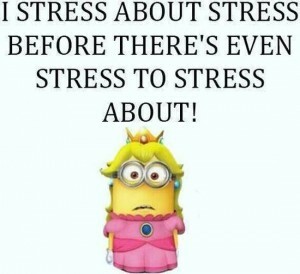 I know living my life this way has only brought more stress to my doorstep. Reducing your stress levels will not occur immediately; however, incorporating the guidelines or suggestions above into your life will certainly help. Soon your health will improve; you will have more free time to do the activities you desire; you will live a happier, more fulfilled life.